Before we get in to the details of how to become teaching assistant let us clearly define what it is. 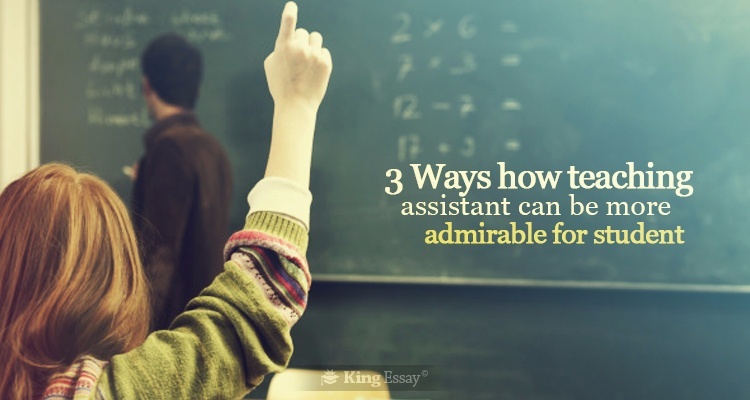 Becoming a teaching assistant (TA) involves taking on the role of assisting the class teacher to impart quality education to all of the students in the classroom. They must help in the daily errands and responsibilities within the classroom to encourage a healthy learning environment. Different institutes assign different responsibilities to their teacher’s aide. Some of their main responsibilities include organising the room where learning takes place as well as prearranging all the references and resources which will be used during class. They will be present in the classroom to administer support and reinforcement to the students and the class teacher. But they will seldom be allowed to preside solely over a study group all by themselves. Most institutes make it very clear that they are not allowed to take exclusive control over the classroom setting. Becoming a teaching assistant does not require any specific qualifications is what all the schools will declare. Upon entering in to the market looking for a job on how to be substitute teacher or a teacher’s aide the competition will be overwhelming. Ideally it is suggested to complete some teaching assistant courses before applying to any college or university. After accomplishing these courses and composing an impressive personal statement help to achieve employment status. It is time to stop presenting the image of a reclusive person and introduce yourself as a social person who enjoys spending time with children. Put forward the image of a friendly, good-natured and warm hearted personality. It should be obvious from their demeanour that candidates bear and exhibit the patience required for dealing with constantly erring students. Having established a candidate’s qualifications institutes will be keen on finding out about each applicant’s personality. Regardless of qualifications, no school or college would want to hire a teacher’s aide who is not cooperative or helpful. Design the university personal statement in such a way that it establishes an image of a personality as a good natured, social and amiable person. In other words, a person who is helpful even when pupils are making the same mistakes repetitively. Special skills should be clearly stated in the application to make it clear to the organisation. Knowing any additional languages or possessing unique talents such as the ability to read Braille, these skills need to be highlighted noticeably. This will give applicants a definite edge over the competition. It will be an added advantage if applicants possess previous experience but this is not at all necessary. With previous experience it is important to mention that there was no incident of any teacher misconduct. After taking up employment if an employer finds out that there was prior misconduct which they had overlooked this could mean serious consequences. A fundamental method of articulating skills in the interview process is to initially present an extremely positive or negative scenario. This could be from any previous experiences. Now describe the personal response to that scenario. Try to focus on your different decision making and administrative skills. Finally disclose how this had a positive outcome to the initial scenario. One of the benefits of this job is that the timings are remarkably convenient for mothers.